Wet Rooms are the ideal solution for the disabled. A disabled wet room allows completely level access for wheelchair users and is more spacious than an enclosed shower trays. Darren Evans Plumbing Services LTD Offer a Wet Room Design & Install Service. Wet rooms are not just for the disabled, they offer a very modern alternative to the standard enclosed shower tray, and are rapidly becoming the “must have” accessory in contemporary bathroom design. Read about our Wet Rooms key features. A wet room bathroom is characterized by having a shower area that is completely level with the existing floor. A wet room area can be introduced into most bathrooms, by simply sloping the floor towards a special drainage point. The floor must then be either tiled or covered in a special slip resistant flooring. 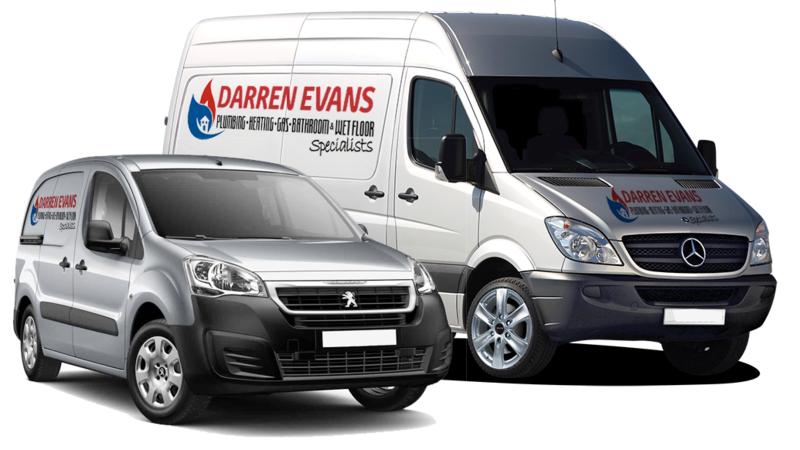 Darren Evans Plumbing Services ltd offers a professional wet room design and install service. All of our Wet Rooms come with a full warranty. You select the layout, product and accessories for the look you desire. The plan is then checked from a technical point of view to ensure that the it is realistic, safe and practical. Your existing bathroom products are removed and disposed of in an environmentally friendly way. Your new wet room will be installed under the supervision of one of our highly experienced Project Managers.